Does therapy work? Wondering if couples therapy even works? 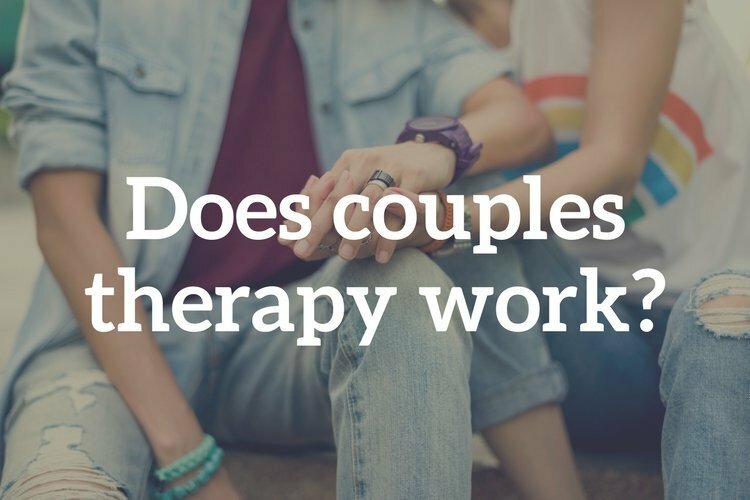 As couples therapists in San Francisco, we often hear this question. The answer, like many things in life (and especially in therapy), isn’t straightforward. First, let’s define what couples therapy “working” means. Never fight with your partner again? Learn how to fight smarter? Yes. Couples therapy will help you improve your communication skills. Improved communication skills mean you’ll talk and listen more effectively. When couples argue, things move fast. Accusations fly, assumptions are made, and feelings get hurt. Each partner thinks it’s the other person’s fault. But it’s impossible, in a fast-moving argument, to really know who said and did what. Your couples therapist will help you slow things down. Only when you go slow, can you really understand what is happening in the dynamic between you two. This understanding helps you figure out what needs to change. You’ll figure out how to communicate your needs in a way that’ll increase the likelihood that your partner will meet those needs. And even if your partner can’t meet those particular needs, you’ll be heard and respected, rather than dismissed or invalidated. Having a third party in the room (your couple’s therapist) will help you break the cycle of fast moving fights that erode the bond between you and your partner. You’ll also learn how to deeply listen to your partner. This sounds simple, but in practice is surprisingly hard. Especially if you’re feeling distant or frustrated with each other. Each partner usually thinks they’re doing a fine job listening. They don’t notice the ways distraction, judgement, and assumptions cloud what they hear. By slowing down (with the help your couple’s therapist), you’ll understand what makes it hard to listen to your partner in an open and loving way. You’ll learn how to work through those blocks so you can truly listen. Honing your skills at talking to, and listening to your partner, makes a huge difference in overall relationship satisfaction. When you do fight, you’ll learn how to de-escalate things, so fights aren’t as long and damaging. You’ll become better acquainted with what triggers you when you fight, as well as what triggers your partner. This knowledge will help you both stop fights before they go too far. You are two separate people sharing a life together, with differing histories, needs and wants. Negotiating all this will sometimes be hard. Also, over the life of your relationship, things will change. There will be external changes, like getting a new job, getting laid off, or getting sick. There’ll also be internal changes, meaning you will each change as you have new life experiences. Maybe you will become more adventurous, or less adventurous. Maybe you will crave more alone time or more social time. All change, whether external or internal, positive or negative, creates stress. Conflict is inevitable when a couple is stressed. Conflict isn’t a bad thing. It’s only a bad thing when it happens too often, or things get out of control, and you really hurt each other (or yourself). So, does couples therapy work? Yes, it “works” by teaching you how to fight smarter with effective communication and by de-escalating. And remember, it will not stop you from ever fighting with your partner again. Curious about how couples therapy in San Francisco can help your relationship? Call the us at (415) 310-5142 to get started.